On June 5th, Canadians will experience a once-in-a-lifetime celestial event. Well, twice-in-a-lifetime if you caught the last one in 2004, and possibly three times if you’re very young and plan to live to be about 130, but it’s still very rare. 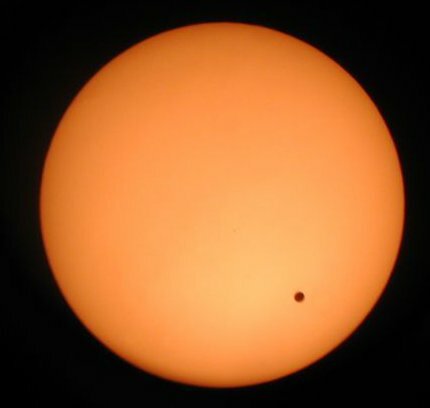 The event is the transit of Venus, a conjunction of the spheres that has inspired astronomers for over 400 years and which has provided important knowledge about the dimensions of our solar system. To learn more, I sat down this week with my friend Jesse Rogerson. A dedicated astronomer – the guy has a constellation tattooed on his back – Jesse is working toward his PhD at York University. He’s also a first-rate science communicator, working as a researcher at the Ontario Science Centre and hosting York Universe on astronomy.fm. Here is an edited version of our conversation. At some point a couple of billion years ago, one cell tried to digest another and failed. The result was the first eukaryote, a complex cell type that today makes up all plants, animals and fungi: pretty much any organism you can see without a microscope. Eukaryotic cells are those that contain endosymbionts, the descendants of that original undigested cell. They are the mitochondria that power our cells, and the chloroplasts that allow plants to photosynthesize. Although they’ve been with us pretty much forever, they live separate lives, maintaining their own genomes, producing their own proteins, and exchanging them amongst each other. At least, we thought they did. 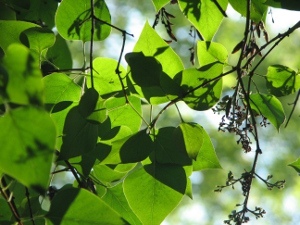 But a new study from the University of Guelph has overturned a century of dogma by suggesting that chloroplasts may live as independently from one another as they do from the plant cells that host them.